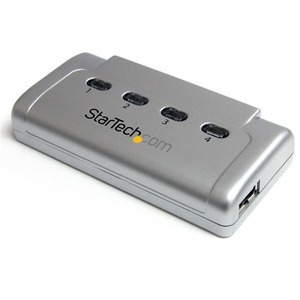 Quickly and easily share a USB 2.0 device between up to four different computers. 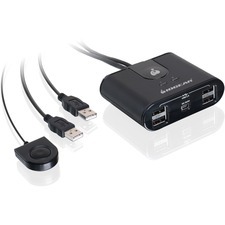 The USB421HS 4-to-1 USB switch box allows for a USB 2.0 device to be shared with up to 4 different computer systems, without having to disconnect and reconnect the cabling every time. Push-button controls makes switching between computers quick and easy, with additional keyboard hot-key switching and Windows based software also available.